Artsmark is the Arts Council’s creative quality standard. Achieving an Artsmark demonstrates that a school delivers an exemplary arts & cultural education. What does that mean in practice? Well, this video gives a good explanation. One of the key benefits of Artsmark is the way it supports the development of a broad and balanced curriculum. And considering how beneficial the arts are for young people, you have to ask, if your child’s school isn’t an Artsmark school, what is your child missing out on? Bridgeview Whitehouse uses Artsmark to put the arts at the centre of everything they do and as a result have seen improvements in engagement, behaviour and even staff job satisfaction. 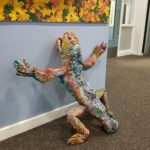 Springhead Primary School has used Artsmark to embed arts & culture into their curriculum and as a result have seen improvements in the confidence, engagement and happiness of their pupils. 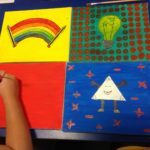 A common question asked about Artsmark is “How does Artsmark affect Ofsted results?” That’s tricky because many of the positive benefits won’t be just from the quality of artwork produced by pupils. They will be in behaviour, wellbeing and enthusiasm, which then improves everything else. But, what we can do is provide a series of positive quotes from Ofsted reports at Artsmark schools. If you’re interested in your child’s school becoming an Artsmark school then the best thing to do is to bring Artsmark to the attention of your child’s head teacher.